If you’ve seen Branko play during his musical journey across the globe this year, chances are you’ve heard this track before. After serving as a secret weapon for his lively DJ sets for months, the Lisbon-based producer has decided to give it away for free as the final track in the Upper Cuts series, ending the last installment of global club music anthems compiled by the most tropical label in Europe. 2015 has been Branko’s busiest year yet. The Buraka Som Sistema graduate and Enchufada head honcho released his solo debut album ‘ATLAS’ earlier this year, along with a 5 episode web series with Red Bull, which highlighted his travels as he drew inspiration for his album from the vibrant music scenes in various cities. 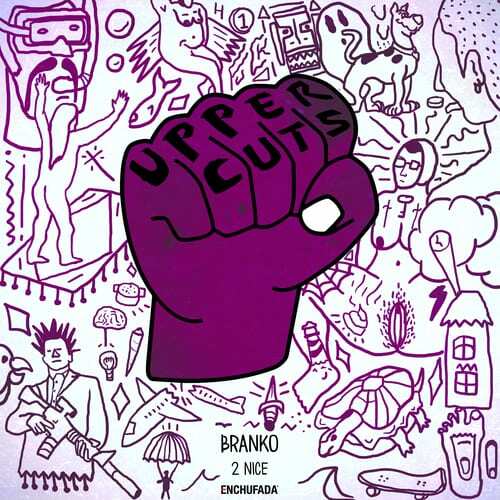 As the year winds down for Branko, he’s seized the opportunity to give his fans one more treat before going back on tour, while also bringing the Upper Cuts free download series full circle by ending this season with a track by the same artist that kicked it off three years ago. Sadly, all good things must come to an end and the Upper Cuts series will retire to give space for more new and exciting projects that the Enchufada camp is known for. Stay up to date with the latest on Branko’s music here.